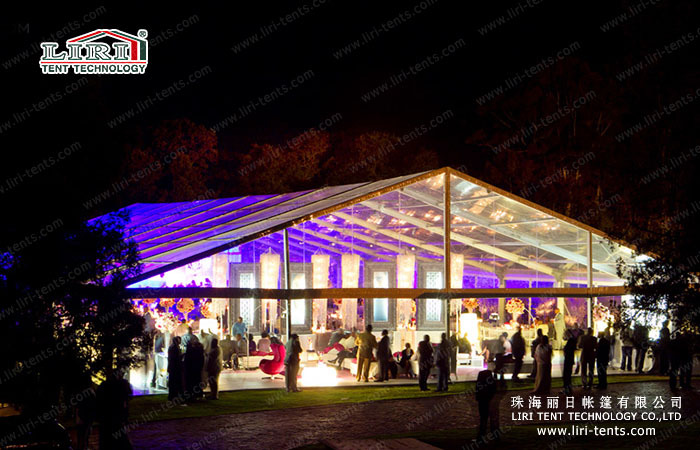 In the form of wedding, wedding marquee is increasingly favored by young people, because wedding marquee can satisfy the pursuit of young people. Let’s look at 4 major advantages of holding wedding outdoors. The wedding usually held in a fixed venue and in traditional form, but indoor wedding venue is with limited spaces, which give people a sense of restraint. 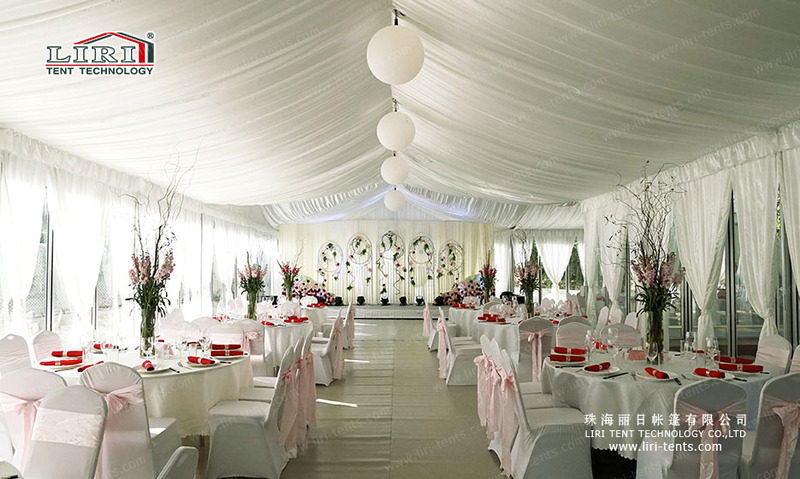 On the contrary, outdoor wedding marquee is to break those traditional ideas, you can seek a place what you like and decorate your wedding marquee base on your ideal wedding mode. Under the sunlight, green grass will let all of you in a pleasure condition without restraint; the green nature was hospitality invited here and witnesses the holy oath together. The wedding is sacred, also romantic, which is one of the most important experiences and most unforgettable memories in your life. You will have a perfect wedding with the right person in the wedding marquee arranged by yourselves, which is yearning by people. 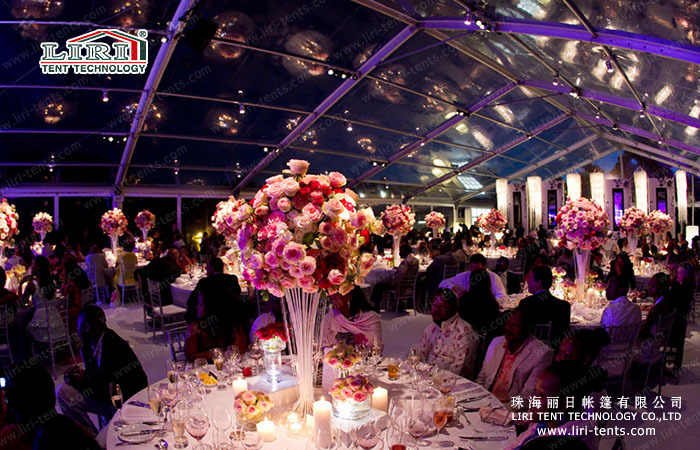 As is known, it is very costive to hold a perfect wedding, but more headaches are that we use a lot of money, but the wedding is not as we expected, leading to the regretful wedding.So in order not to let these things happen, wedding marquees are your best choice, because wedding marquee can not only buy but also rent and there are second-hand tents. 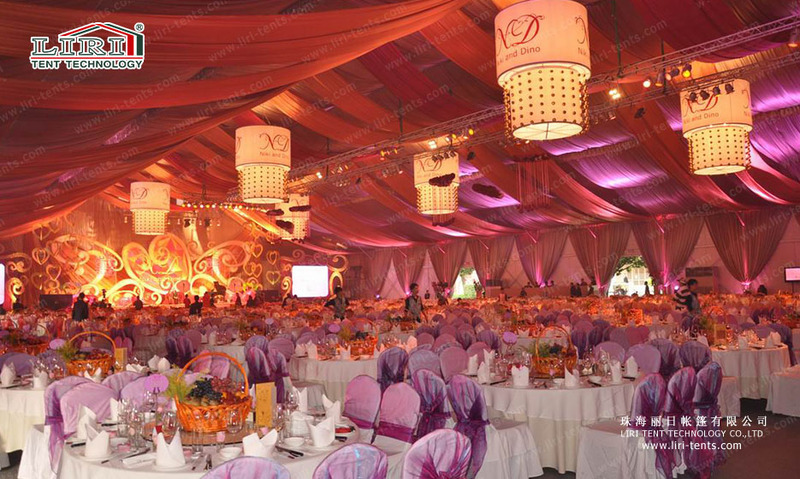 You can also determine the tent size basing on the number of guests, which is very flexible, and you have more choices in the theme or decoration, thus there are different styles and prices according to different requirements and themes. Tents can provide everything you need, it is far more than a hotel layout, and it simply can be a moving “five-star hotel”. Wedding Marquee is unexpectedly good, that someone will ask is it convenient to install and disassemble tents? Is there enough space? Is it safe and with good accessories? You can rest assured because the construction and dismantling can be finished in very short time. Tarpaulin can be folded and the frames are in small volume after dismantling, which is convenient to transport and store, called as a “mobile real estate”. Here is a real case for information: to build a 1000 square meters tent, 16 workers can finish the project within a day, which can fully meet customer’s requirements for fast delivery. The construction speed is astounding, and the space utilization rate is 100%, because of no extra column in the tent. Also you can make the space more imaginative with your creativity. Security is more concerned, and we have considered this already. We adopt strong wind resistance and fire resistance materials, which to some extent greatly increase its security. 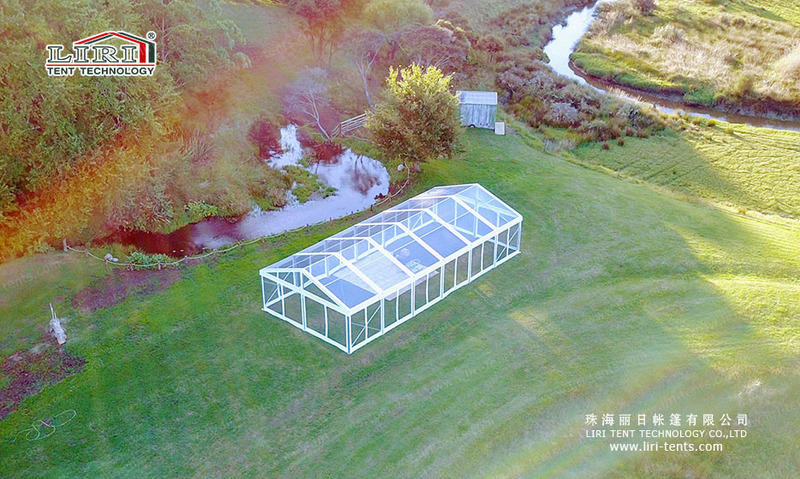 Regarding wind loading, due to lighter weight and flexible structure design, wedding marquee use a hinged connection instead of the traditional consolidation column. To resist the wind load, through rotating the hinge at the bottom of the column to reduce the wind energy, the whole structure will not be damaged. Fire resistance, construction material is a refractory material, that is to say, it will extinguish after the flame left 2 seconds. We will work on the best ways to solve all the problems concerned. When it comes to a perfect wedding, definitely can’t lack shooting, and for shooting, it certainly cannot lack beautiful background and enough light. Outdoor wedding marquees can help you solve this problem. Just said tent can be built outdoors, so find a beautiful place in your mind, when we finish building up with the tent, the natural background can set off the wedding. 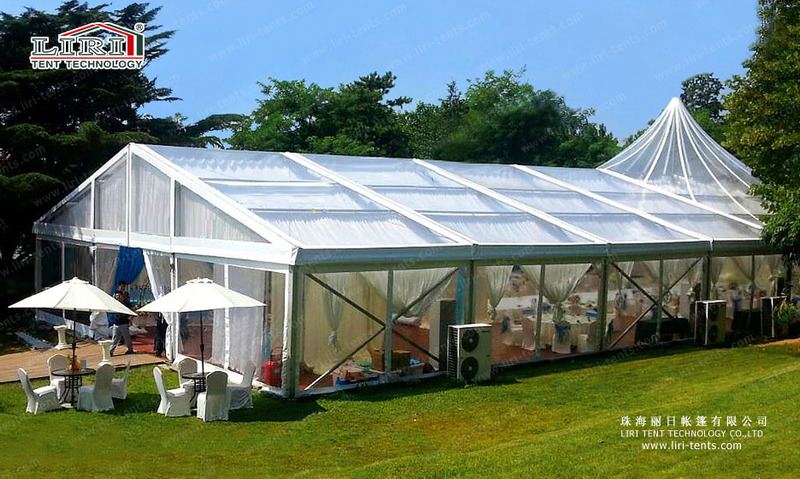 Also, the wedding marquee is not only with PVC fabric sidewall, but also can be with all glass.You can imagine, if the wedding hold in the daytime, the glass wedding marquee make the presence of all people happy and make the wedding more sacred under the blue sky and warm sunshine. 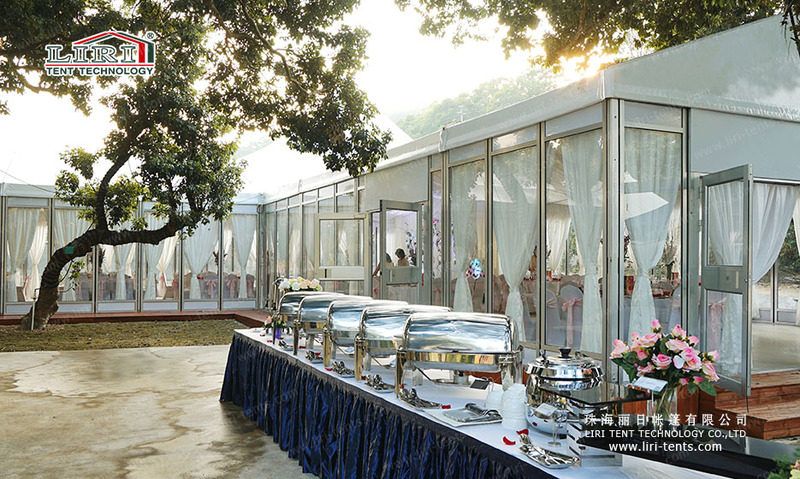 But in the evening, everyone in the glass tent can watch the starry stars in the night sky, surrounded by the atmosphere of nature, everyone can witness this perfect and unique tents wedding. The photographers at any time can capture the most beautiful moment during the wedding. This scene will make your life unforgettable, while many people are envied and desired.